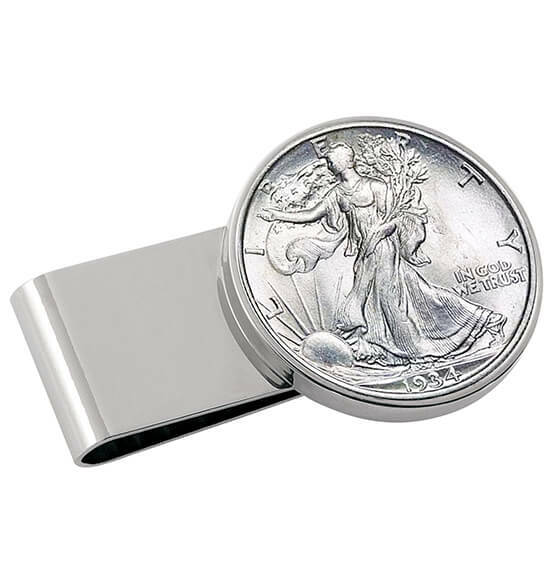 Fasten together paper money quickly and efficiently with this elegant Monogram Walking Liberty Half-Dollar SS Money Clip. 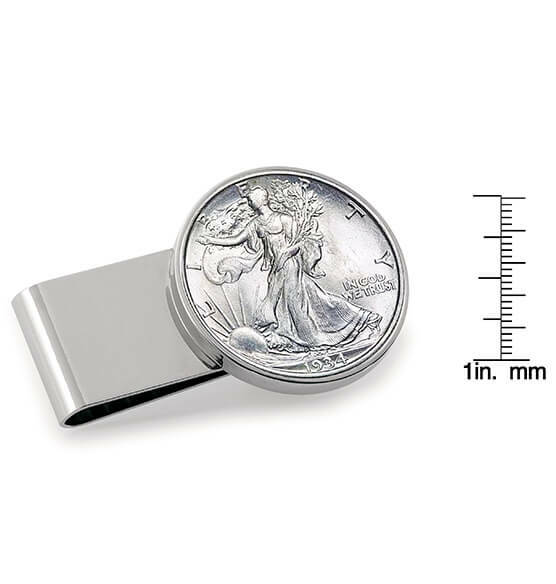 Crafted of stainless steel, the clip face displays a genuine .900 Fine Silver half-dollar coin minted sometime between 1917 and 1947. The iconic image is the artistic creation of A. A. Weinman. 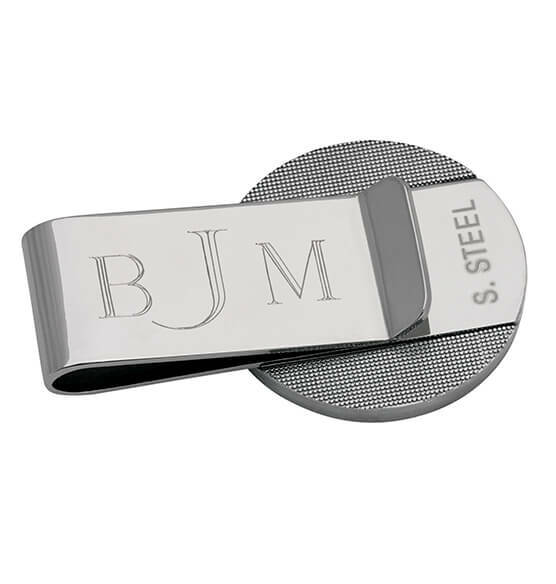 The rear of the half dollar money clip is reserved for three personalized initials.